Our very own Jim Anderson’s ‘The 2nd Night’ was performed at the Sawston drama festival on 22nd March 2019. This is Jim’s first play, about an ordinary couple and their final night together, before becoming a footnote in American history. 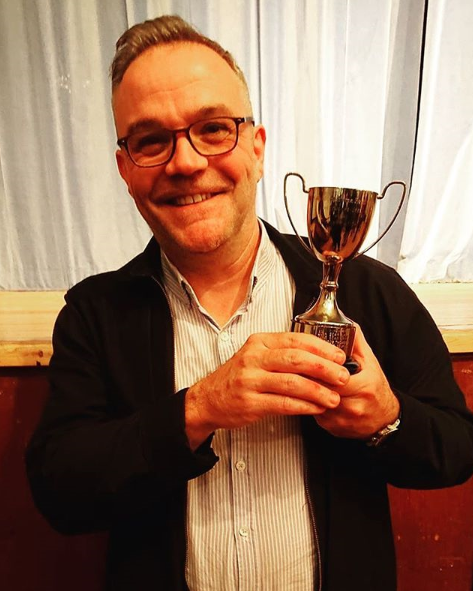 The show was well received by both, the adjudicator and audience, and we are pleased to announce, Graeme Bussey won Best Actor – Well done Graeme. Good luck to the cast and crew at the Welwyn drama festival. The performance is scheduled for 14th May 2019.